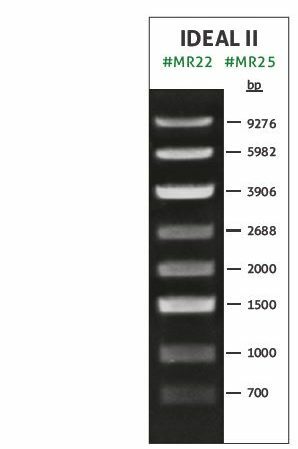 The 6x DNA Loading Buffer products facilitate the loading of DNA on agarose or polyacrylamide gels. 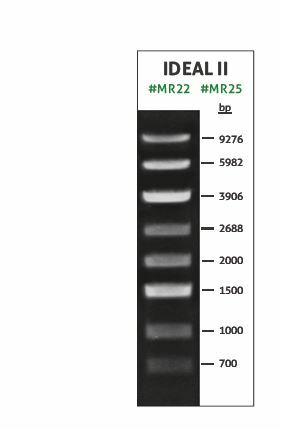 The buffers are concentrated by a factor of six, so in order to obtain the best results mix 2 μl of the loading buffer with 10 μl of the DNA sample. 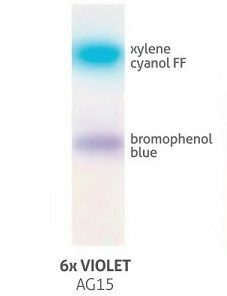 The loading buffers contains either Ficoll® 400 (6x BLUE, 6x ORANGE, 6x GREEN) or glycerol (6x VIOLET), which facilitate rapid sinking to the bottom of the well in the agarose or polyacrylamide gel. 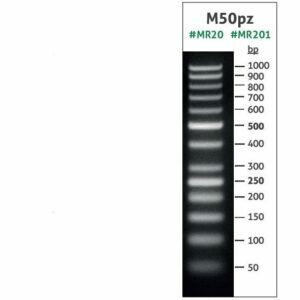 The solutions protect DNA thanks to the presence of EDTA, which inactivates nucleases and other enzymes by binding the divalent metal ions crucial to their activity. 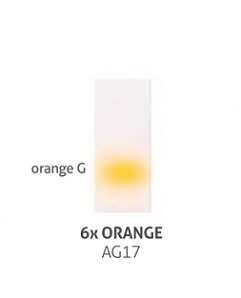 Most of the Loading Buffers contain dyes which migrate in the electrophoretic field differently from the standard size PCR products, ensuring that they do not hinder the analysis by image obscuration. 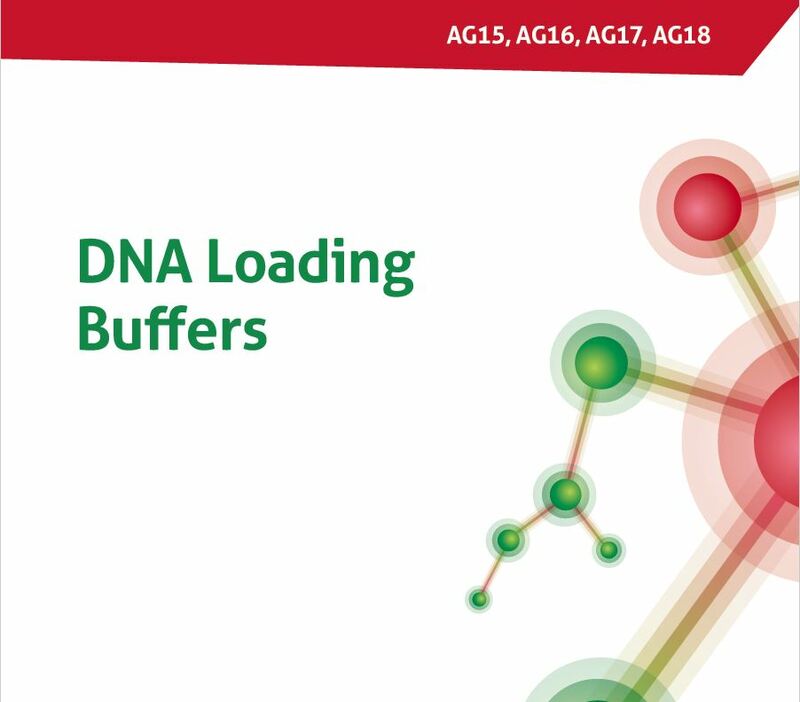 Mix 1 volume of 6x DNA loading Buffer with 5 volumes of DNA before application. 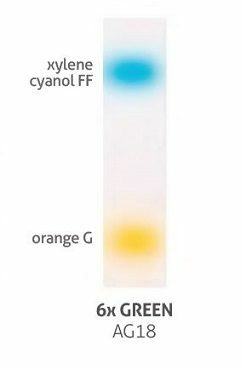 Mix thoroughly prior to application. 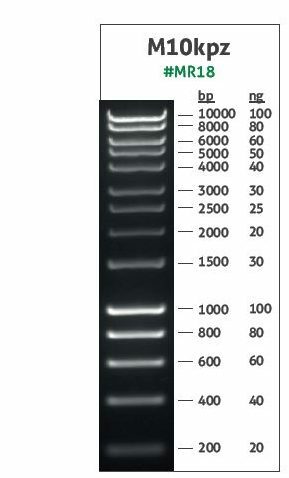 The DNA loading buffers have been tested in various kinds of agarose and polyacrylamide gels. 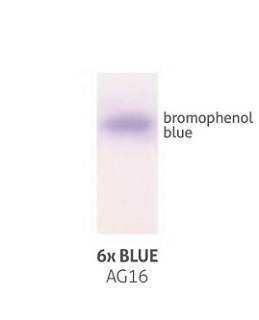 Absence of nucleases has been confirmed by relevant QC procedures.